If you’re reading this, perhaps you already have a Heatilator fireplace or insert in your home, or you’re dreaming of one. Nothing compares to the warm ambiance created by fireplaces – except for the fact that they can save you money too! Meet zone heating. It’s a resolution you can make now for 2015. Most homes have central furnaces that push large amounts of heat through the duct system, and many furnaces have 90+ percent efficiency at the appliance. But by the time the heat is pushed through the duct system to rooms throughout the home, that efficiency can be much lower. 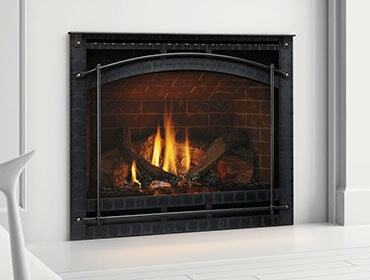 Fireplaces deliver heat directly into the room, providing warm air immediately at the appliance. And that’s why zone heating – simply turning down the central thermostat and using your hearth to heat your main living area – is so effective. Most energy efficient hearth systems are capable of zone heating. And if your home is big, there many models that will heat large areas. An example is the Heatilator Novus nXt.